The Staircase Spur track to the summit of Mt Bogong begins at the Mountain Creek Picnic Area and follows a vehicle track to the foot of the Staircase Spur, where the ascent begins. Bivouac Hut, about halfway along the climb, offers emergency shelter before the track passes through snow gums and out onto the steep rocky ridge leading to the summit plateau. 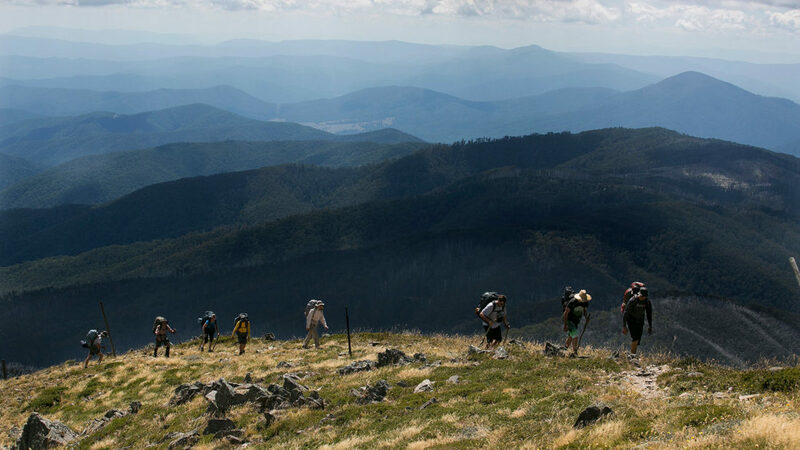 The treeless plain of the summit offers stunning views on all directions - Mt Bogong is the tallest mountain in Victoria!